This past weekend at the North American International Auto Show in Detroit, many Ford fans saw the unveiling of a new, familiar face. The 2019 Ford Ranger has shades of its full-sized companion with aspects that are true to its own legacy. For seven years, mid-size truck fans have been waiting and wishing for a new Ford Ranger. A year from now, they can hop back into the drivers seat of one. Since production of the Ford Ranger stopped in 2011, mid-sized truck fans have wondered if there would ever be a return. Ford focused heavily on the production of the F-150, coming out with new special editions and design updates. But, that still didn't stop Ranger fans from forgetting about their once-favorite Ford model. Given the mix of both demand for mid-sized trucks and suggestions (write-ins, forums, etc.) from consumers in the past few years, Ford finally has an answer. The 2019 Ford Ranger is as tough as it is sporty. It features rounded fenders and a definitive frame resembling the F-150. However, the aspects of itself that it carries include its stylish headlights and compressed mirrors as well as its sophisticated grille with the letters R-A-N-G-E-R across the top. 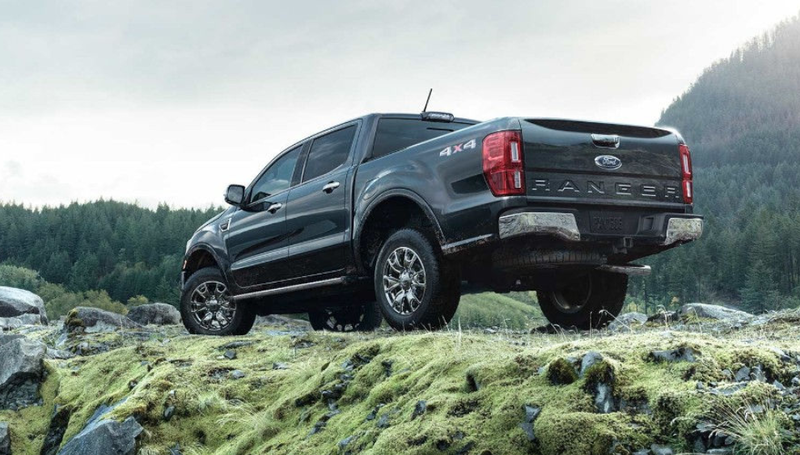 Although it does pay respect to the full-sized segment, the new Ford Ranger celebrates its own renowned return. Fans have been waiting for this for over half of a decade, and it seems they are pleased with their reward for their patience. The all-new Ranger will come in a crew cab and a supercrew cab option. Both will feature four full-size doors. It has 9 inches of ground clearance as well as four different drive modes depending on the terrain. There is an FX4 off-road package that includes upgraded tires, off-road ready shocks and suspension, and skid plates for when things get a little bumpy. Needless to say, this mid-size truck is ready for both work and play. 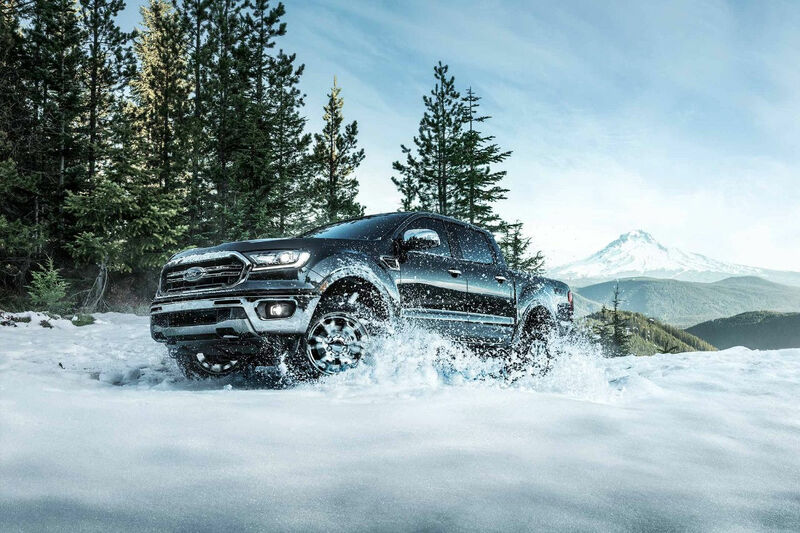 The 2019 Ford Ranger will feature one engine: the second generation 2.3-liter twin-scroll turbocharged four-cylinder EcoBoost with 10-speed automatic transmission. It will maintain a steel body, a new fully boxed frame, and a stylish aluminum tailgate. The grille will depend on the trim-level (unique to XL, XLT, and Lariat) and there are optional LED lamps for the headlights. This new mid-sized monster will have eight new wheel choices, and some will match the F-150 to further carry on the legacy Ford has built. It will also be offered in eight different colors with optional sport and chrome appearance packages. Although the 2019 Ford Ranger won't be available for another year, there is sure a lot to look forward to. In the mean time, check out the F-150 and Used Ford inventory here. The Uftring Automall, your Peoria dealer for Ford, is excited to offer the next new generation of Ford Rangers!